Spirit Cars offers 1932 Ford Model B Coupes. 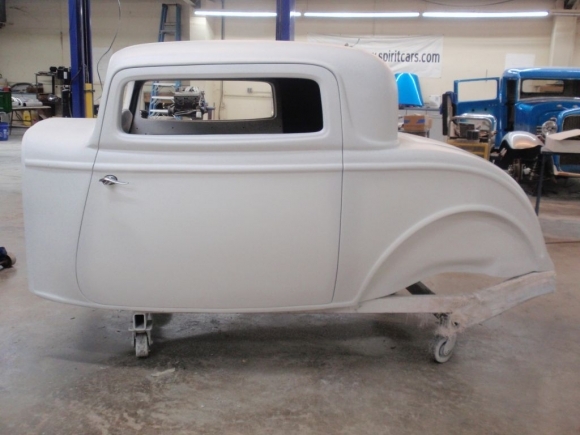 We offer a 1932 3 window coupe and 1932 5 window coupe in fiberglass and also offer a 1932 All Steel 5 window coupe body. Spirit offers from the bodies, frames, rolling chassis to kits. Titling is available with our kits. 1932 Ford Dropped Stainless Steel Head light Bar. Highly Polished stainless steel.